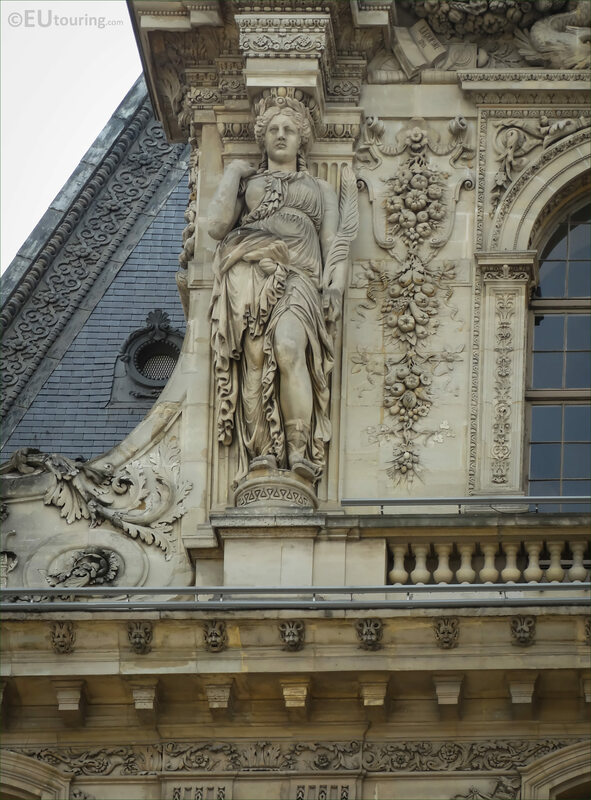 We were in the 1st Arrondissement of Paris at the famous Musee du Louvre, when we took these high definition photos showing a Caryatid located on the Pavillon Mollien wing of this former royal palace. This first close up photo shows a statue of a female figure, which does not have a specific name, but is used as an architectural support instead of a column or pillar, and these have been used for centuries on buildings, with the oldest one being found in Athens. So this particular Caryatid, spelt Cariatide in French, was sculpted by Eugene Lequesne, which is sometimes spelt Eugene Le Quesne, who was born in Paris in 1815, and after studying at the Ecole des Beaux Arts he became a French sculptor. Then winning the Prix de Rome in 1844, Eugene Lequesne furthered his studies at the French Academy in Rome alongside other famous people including Charles Garnier, and upon his return to Paris, started receiving public commissions and being awarded the Great Prize for sculpture at the 1855 Universal Exhibition, he received the Legion of Honour. And as well as this caryatid, Eugene Lequesne produced other works for the Musee du Louvre and several more statues and sculptures can be found at other tourist attractions in Paris, including the Jardin du Luxembourg, Gare du Nord, Palais Garnier and the Cirque d'Hiver to name a few. 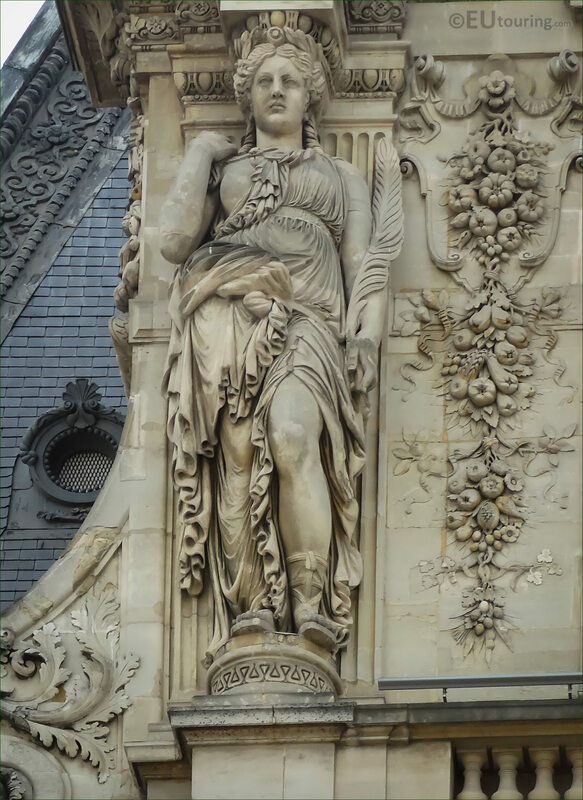 But getting back to this particular caryatid by Eugene Lequesne, you will find this located on the upper level of the Pavillon Mollien wing by the dormer window of the former Palais du Louvre, which can be seen on the western facade that faces towards the Cour du Carrousel.